Enjoy frosty delight any time of year! 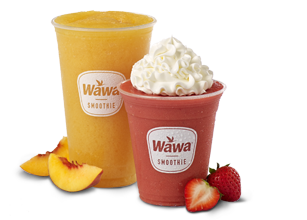 Our Built-to-Order ® Fruit Smoothies are freshly made in varieties like Strawberry Banana and Peach. Add whipped cream for an extra treat! Indulge your sweet side with a delectably refreshing Cream Smoothie! Made to your liking in lots of varieties, including Strawberry Banana Cream, Banana Cream, and Caramel Cream. 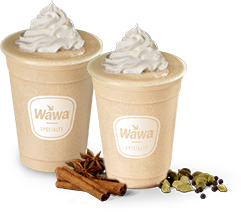 Take traditional chai tea to the next level with a Frozen Chai Tea! 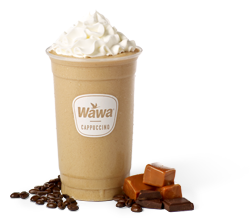 Enjoy this freshly made treat in Regular or Vanilla. Who says Cappuccino has to be hot? 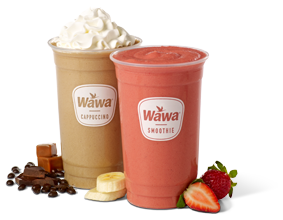 At Wawa, enjoy yours frozen, in decadent varieties like Mocha and Caramel. Feeling indulgent? Add whipped cream!